In the perfect world all software is fast, giving us time to do actual work. Unfortunately we live in an unperfect world, and we have to spend extra time controlling our anger as the software keeps us waiting. 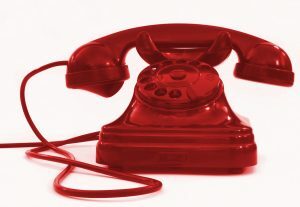 Therefore we have opened the Slow Software Hotline – reachable via both phone and email. It has one goal: make you feel happy again. Reporting is easy. Just name the commercial software that needs to be sped up and why. We’ll do the rest. If you need help with initial anger management due to the slow (and/or buggy) software, we’re happy to help with breathing practises. We will not sit still until all software is fast. Speeding up all software out there. One at the time. AMD open sourced the OpenCL driver stack for ROCm in the beginning of May. With this they kept their promise to open source (almost) everything. The hcc compiler was open sourced earlier, just like the kernel-driver and several other parts. There are indeed several open source OpenCL implementations, but with one big difference: they’re secondary to the official compiler/driver. So implementations like PortableCL and Intel Beignet play catch-up. AMD’s open source implementations are primary. For testing the implementation, see Khronos OpenCL CTS framework or Phoronix openbenchmarking.org. Why is it open sourced? There are several reasons. 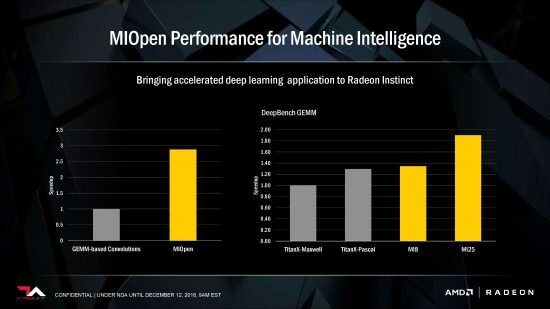 AMD wants to stand out in HPC and therefore listened carefully to their customers, while taking good note on where HPC was going. Where open source used to be something not for businesses, it is now simply required to be commercially successful. Below are the most important answers to this question. It is very useful to understand how functions are implemented. For instance the difference between sin() and native_sin() can tell you a lot more on what’s best to use. It does not tell how the functions are implemented on the GPU, but does tell which GPU-functions are called. When you are working on a large project and have to work with proprietary libraries, this is a typical delay factor. I think every software engineer has this experience that the library does not perform as was documented and work-arounds had to be created. Depending on the project and the library, it could take weeks of delay – only sarcasm can describe these situations, as the legal documents were often a lot better than the software documents. When the library was open source, the debugger could step in and give the “aha” that was needed to progress. When working with drivers it’s about the same. GPU drivers and compilers are extremely complex and ofcourse your project hits that bug which nobody encountered before. Now all is open source, you can now step into the driver with the debugger. Moreover, the driver can be compiled with a fix instead of work-around. A trace now now include the driver-stack and the line-numbers. Even a suggestion for a fix can be given. This not only improves reproducibility, but reduces the time to get the fix for all steps. When a fix is suggested AMD only needs to test for regression to accept it. This makes the work for tools like CLsmith a lot easier. Say your software is important and in the spotlight, like Blender or the LuxMark benchmark, then you can expect your software gets attention in optimisations. For the rest of us, we have to hope our special code-constructions are alike one that is targeted. This results in many forums-comments and bug-reports being written, for which the compiler team does not have enough time. This is frustrating for both sides. Now everybody can have their improvements submitted, giving it does not slow down the focus software ofcourse. Adding SPIR-V is easy now. The SPIRV-frontend needs to be added to ROCm and the right functions need to be added to the OpenCL driver. Unfortunately there is no support for OpenCL 2.x host-code yet – I understood by lack of demand. For such extensions the AMD team needs to be consulted first, because this has implications on the test-suite. It takes a single person to make something completely new – this becomes a whole easier now. More often there is opportunity in what is not there yet, and research needs to be done to break the chicken-egg. Optimised 128 bit computing? Easy complex numbers in OpenCL? Native support for Halide as an alternative to OpenCL? All high performance code is there for you. Not a goal, but forks are coming for sure. For most forks the goals would be like the ones above, to later be merged with the master branch. There are a few forks that go their own direction – for now hard to predict where those will go. Universities are very important to find unexpected opportunities, integrate the latest research in, bring potential new employees and do research collaborations. Added bonus for the students is that the GPUs might be allowed to used for games too. 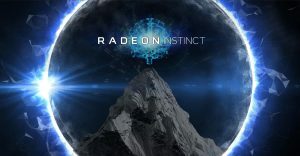 Timour Paltashev (Senior manager, Radeon Technology Group, GPU architecture and global academic connections) can be reached via timour dot paltashev at amd dot com for more info. It’s easier to include open source drivers in Linux distributions. These OpenCL drivers do need a binary firmware (which were disassembled and seem to do as advertised), but the discussion is if this is part of the hardware or software to mark it as “libre”. There are many obstacles to have ROCm complete stack included as the default, but with the current state it makes much more chance. Phoronix has done some benchmarks on ROCm 1.4 OpenCL in January on several systems and now ROCm 1.5 OpenCL on a Radeon RX 470. Though the 1.5 benchmarks were more limited, the important conclusion is that the young compiler is now mostly on par with the closed source OpenCL implementation combined with the AMDGPU-drivers. Only Luxmark AMDGPU was (much) better. Same comparison for the old proprietary fgrlx drivers, which was fully optimised and the first goal to get even with. 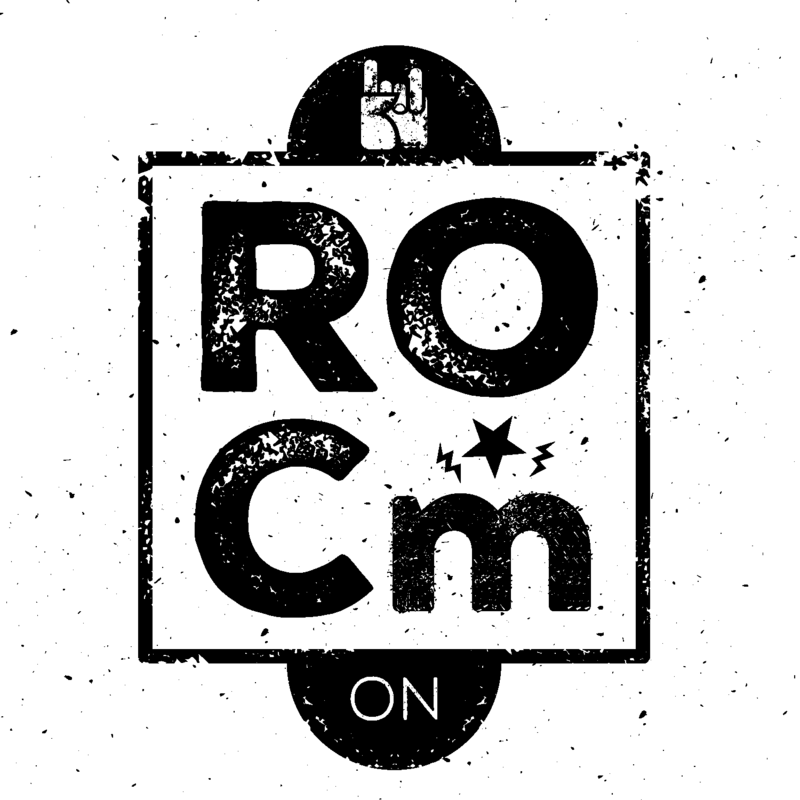 You’ll see that there will be another big step forward with ROCm 1.6 OpenCL. You can find the build instructions here. Let us know in the comments what you’re going to do with it! 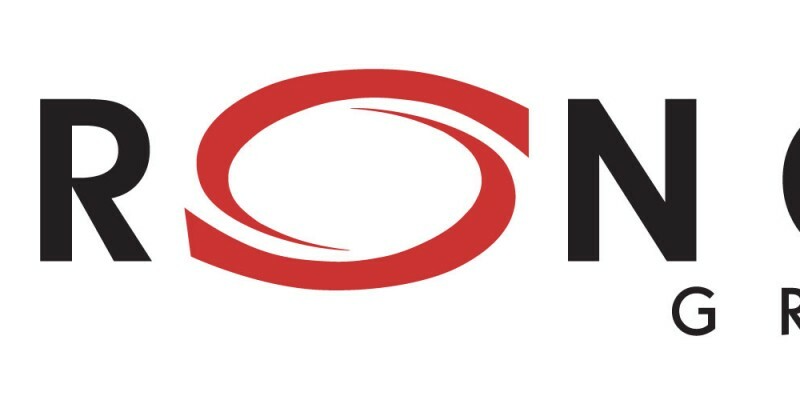 Last week AMD released ports of Caffe, Torch and (work-in-progress) MXnet, so these frameworks now work on AMD GPUs. With the Radeon MI6, MI8 MI25 (25 TFLOPS half precision) to be released soonish, it’s ofcourse simply needed to have software run on these high end GPUs. The ports have been announced in December. You see the MI25 is about 1.45x faster then the Titan XP. With the release of three frameworks, current GPUs can now be benchmarked and compared. Especially the expected good performance/price ratio will make this very interesting, especially on large installations. Another slide discussed which frameworks will be ported: Caffe, TensorFlow, Torch7, MxNet, CNTK, Chainer and Theano. Since 2010 the name StreamComputing has been used and is widely known now in the GPU-computing industry. But the name has three problems: we don’t have the .com domain, it does not directly show what we do, and the name is quite long. While the initial focus was Europe, for years our projects are done for 95% for customers outside the Netherlands and over 50% outside Europe – with the .eu domain we don’t show our current international focus. But that’s not all. The name sticks well in academics, as they’re more used to have longer names – just try to read a book on chemistry. Names I tested as alternatives were not well-received for various reasons. Just like “fast” is associated with fast food, computing is not directly associated with HPC. So fast computing gets simply weird. Since several customers referred to us as Stream, it made much sense to keep that part of the name. Stream HPC defines more what we are: we build HPC software. Stream HPC combines the well-known name combined with our diverse specialization. 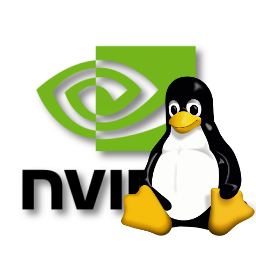 Programming GPUs with CUDA or OpenCL. With the HPC-focus we were more able to improve ourselves. We have put a lot of time in professionalizing our development-environment and project-management by implementing suggestions from current customers and our friends. We were already used to work fully independent and be self-managed, but now we were able to standardize more of it. Rebranding will take some time, as our logo and name is in many places. For the legal part we will take some more time, as we don’t want to get into problems with i.e. all the NDAs. Email will keep working on both domains. We will contact all organizations we’re a member of over the coming weeks. You can also contact us, if you read this. StreamComputing will never really go away. The name was with us for 7 years and stands for growing with the upcoming of GPU-computing. What is Khronos as of today? 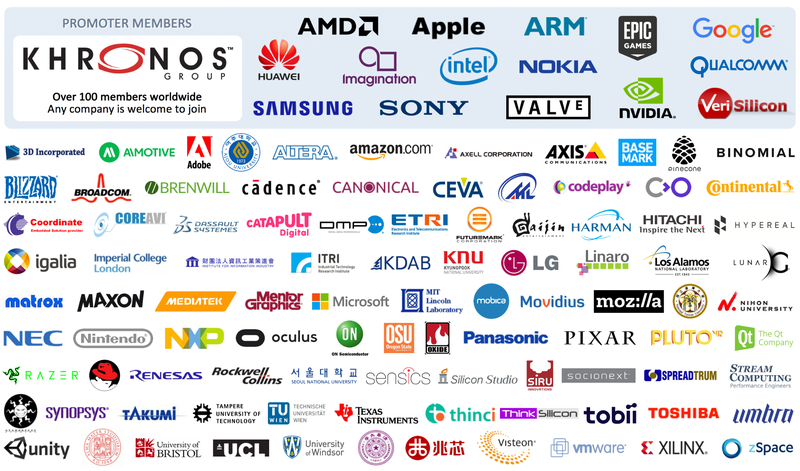 The Khronos Group is the organization behind APIs like OpenGL, Vulkan and OpenCL. 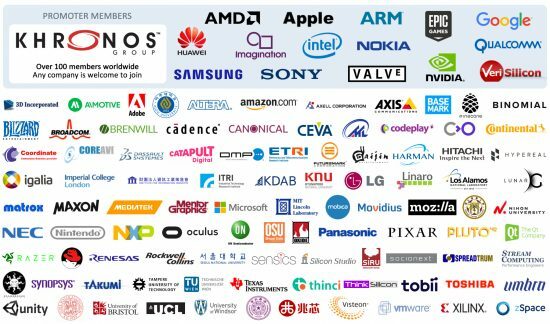 Over one hundred companies are a member and decide together what your next year phone, camera, computer or media device will be capable of. We’re at the right, near the bottom. OpenCL, a cross-platform computation API. Too few people understand that the organization is very unique, as the biggest processor vendors are discussing collaborations and how to move the market, while they’re normally the fiercest competitors. Without Khronos it would have been a totally different world. During IWOCL a workshop takes place that discusses the opportunities that C++ brings to OpenCL-enabled processors. A well-know example is SYCL, but various other approaches are talked about. HiHAT: A New Way Forward for Hierarchical Heterogeneous Asynchronous Tasking. SYCL C++17 and OpenCL interoperability experimentation with triSYCL. KART – A Runtime Compilation Library for Improving HPC Application Performance. Using SYCL as an Implementation Framework for HPX Compute. Adding OpenCL to Eigen with SYCL. SYCL-BLAS: Leveraging Expression Trees for Linear Algebra. Supporting Distributed and Heterogeneous Programming Models in ISO C++. Towards an Asynchronous Data Flow Model for SYCL 2.2. Communicating Execution Contexts using Channels. Towards a Unified Interface for Data Movement. Panel: What do you want in C++ for Heterogeneous. As C++ is an important direction for OpenCL, we expect to see most of the discussions on programmability of OpenCL-enabled processors be done here. The detailed program is to be released soon. For more information see the DHPCC++ webpage. At the IWOCL website you can buy tickets and passes – combining with IWOCL gives a discount. An overview of all the tutorials and talks for easy reading. This hands-on session will provide an opportunity to get experience with SYCL using ComputeCpp™ Community Edition, a free to use implementation of the SYCL 1.2 standard. Attendees will be shown how to set up ComputeCpp and use it to write their own SYCL code to run on supported GPUs and CPUs. Attendees are expected to have programming experience with C++ and a laptop either running Linux or having a VM manager installed such as VirtualBox. The required software will be provided on USB-sticks. This course is suitable for beginners, but is focused on intermediate to advanced parallel programming using C++. In this tutorial, we will introduce you to the reconfigurable hardware architecture and programming of Field Programmable Gate Arrays (FPGAs). You will learn why FPGAs have become so popular in recent years, and understand the many advantages of using FPGAs in your HPC application. In particular, we will cover architectural features of FPGAs that make them well suited to many complex operations, including matrix multiplications and convolutions. In addition, we will introduce you to programming FPGAs using the Intel® FPGA SDK for OpenCL, and how specific OpenCL coding techniques can lead to efficient circuits implemented on the FPGA. Finally, we will go over several case studies where FPGAs have shown very competitive performance when programmed using OpenCL, including convolutional neural nets, FFTs, and astronomy de-dispersion algorithms. 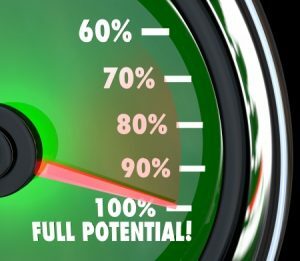 The keys to unlock the full performance potential of Intel GPUs for emerging workloads in general compute, media, computer vision, and machine learning are in the rich suite of Intel OpenCL extensions. These give developers direct access to unique Intel hardware capabilities, which until now have been difficult to master. How to write high performance general compute applications based on the core concept of OpenCL subgroups. How to use additional subgroup operations described in the Intel subgroups and media block read/write extensions. Then using the framework of subgroups, we explain the device-side motion estimation extension which leverages the unique Intel GPU media sampler to accelerate motion estimation operations from OpenCL kernels. Finally we explain the Video Enhancement (VEBOX) extension, which is an OpenCL host level API extension to leverage a powerful media fixed function unit to accelerate many frame level video enchancement operations. In this paper, OpenCL is used to target a general purpose graphics processing unit (GPGPU) for acceleration of 2 modules used in a synthetic aperture radar (SAR) simulator. Two of the most computationally complex modules, the Generate Return and Back Projection modules, are targeted to an AMD FirePro M5100 GPGPU. The resulting speedup is 2.5X over multi-threaded C++ implementations of those algorithms running on an 8-core Intel I7 2.8GHz processor, 5X over singlethreaded C++ implementations, and 24X over native MATLAB implementations, on average. In this work, we exploit OpenCL to efficiently map the nested simulation of complex portfolios with multiple algorithms on heterogeneous computing systems. Code portability and customizations allow us to profile the kernels on different accelerating platforms, such as CPU, Intel’s Xeon Phi and GPU. The combination of OpenCL, a new bit-accurate algorithmic optimization and the extension of an existing numerical interpolation scheme allows us to achieve 1000x speedup compared to the state-of-the-art approach. Our system design minimizes costly host-device transfers and global memory, enabling complex portfolios to be easily scaled. This work presents an OpenCL implementation of AutoDock, and a corresponding performance evaluation on two different platforms based on multi-core CPU and GPU accelerators. It shows that OpenCL allows highly efficient docking simulations, achieving speedups of ∼4x and ∼56x over the original serial AutoDock version, as well as energy efficiency gains of ∼2x and ∼6x. respectively. To the best of our knowledge, this work is the first one also considering the energy efficiency of molecular docking programs. In this paper we evaluate the feasibility of using CPU-oriented OpenCL for high-performance simulations of agent-based models. We compare a CPU-oriented OpenCL implementation of a reference ABM against a parallel Java version of the same model. We show that there are considerable gains in using CPU-based OpenCL for developing and implementing ABMs, with speedups up to 10x over the parallel Java version on a 10-core hyper-threaded CPU. As FPGA capacities continue to increase, the ability to partition and partially reconfigure the FPGA will become even more desirable. The fundamental issue is how FPGAs are currently viewed as devices in the OpenCL model. In this paper, we propose a small change to the OpenCL definition of a device that unlocks the full potential of FPGAs to the programmer. We propose imposing a communication discipline inspired from models of computation (e.g.Ptolemy) such as SDF (synchronous dataflow), bulk synchronous (BSP), or Discrete Event (DE). These models offer a restricted subset of communication patterns that enable implementation tradeoffs and deliver performance and resource guarantees. This is useful for OpenCL developers operating within the constraints of the FPGA device. We hope to facilitate a preliminary analysis and evaluation of supporting these patterns in OpenCL and quantifying associated FPGA implementation costs. The acceptance and success of cloud computing has given application developers access to computing and new customers at a scale never seen below. The inherent ability of an FPGA to reconfigure and be workload optimized is a great advantage given the fast-moving needs of cloud computing applications. In this talk we will discuss how users can develop, accelerate and deploy accelerated applications in the cloud at scale. You will learn how to get started on a turn-key OpenCL development environment in the cloud using Xilinx FPGAs. After decades of research, High-Level Synthesis has finally caught on as a mainstream design technique for FPGAs. 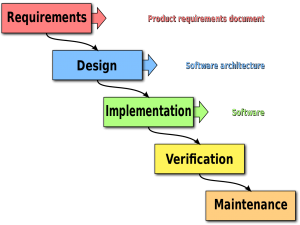 However, achieving performance results that are comparable to designing at a hardware description level still remains a challenge. In this talk, we illustrate how we achieve world class performance results on HPC applications by using OpenCL. Specifically, we show how we achieve 1Tflop of performance on a matrix multiply and over 1.3Tflops on a CNN application, run on Intel’s 20nm Arria 10 FPGA device. Finally, we will describe spatial coding techniques that lead to efficient structures, such as systolic-arrays, to ensure that the FPGA runs efficiently. Task scheduling and memory management are challenges that make Heterogeneous Computing difficult for the masses. There are several programming models and tools that exist targeting partitioning of workload and accessibility of data between CPU and GPU. We have developed and deployed Symphony SDK – a framework that makes workload partitioning, scheduling and memory management ‘simple’ for developers. In this talk, we will introduce Symphony architecture, elaborate how existing OpenCL kernels can be reused with heterogeneous task synchronization, task scheduling, and memory management capabilities of Symphony. We will also share real-world cases where Symphony has provided 2x-6x performance speed-ups. 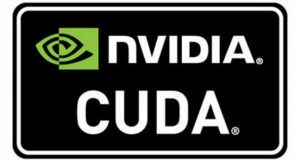 Cuda-on-cl addresses the problem of creating and maintaining OpenCL forks by leaving the reference implementation entirely in NVIDIA CUDA, and writing both a compiler and a runtime component, so that any CUDA c++11 application can in theory be compiled and run directly on any OpenCL 1.2 device. We use Tensorflow framework as a case-study, and demonstrate the ability to run Tensorflow and Eigen kernels directly, with no modification to the original CUDA source-code. Performance studies are also undertaken, and show that the cuda-on-cl program runs at about 25% of the original CUDA-compiled version. We present experiences with utilising OpenCL alongside C ++ , MPI, and CMake in two real-world scientific codes. Our targets are a Cray XC40 supercomputer with multi- and many-core (Xeon Phi) CPUs, as well as multiple smaller systems with Nvidia and AMD GPUs. We shed light on practical issues arising in such a scenario, like the interaction between OpenCL and MPI, discuss solutions, and point out current limitations of OpenCL in the domain of scientific HPC from an application developer’s and user’s point of view. Codeplay has been working with Google to add SYCL back-end support in TensorFlow, one of the most popular machine learning frameworks, enabling developers to use OpenCL devices with their machine learning applications. SYCL provides an abstraction layer that simplifies parallel development, giving developers access to the computing power of OpenCL devices and reducing the amount of code required. Andrew Richards will talk about how machine learning applications can harness the power of OpenCL using open standards and how, by using SYCL, TensorFlow can be extended to include customized operations running on OpenCL devices. In this talk, we present an approach for analyzing performance portability that exploits that black-box nature of automatic performance tuning techniques. We demonstrate this approach across a diverse range of GPU and CPU architectures for two simple OpenCL applications. We then discuss the potential for auto-tuning to aid the generation of performance portable OpenCL kernels by incorporating multi-objective optimization techniques into the tuning process. In this presentation we focus on the application of the wavefront pattern to design efficient GPGPU implementations of video encoding algorithms using OpenCL kernels. We present our experiences in implementing and evaluating four solutions of WPP for inter and intra estimation for AVC on GPUs. We explain the reasoning behind each solution and present the results of our analysis. In this presentation, based on our experience in developing publicly released vendor extensions based on subgroups, we explain the advantages of the “explicit SIMD” programming paradigm using OpenCL subgroup and how the subgroups framework can be leveraged to: (1) Model features for performance in OpenCL that are commonly available in programming languages or interfaces based on an “explicit SIMD” programming paradigm such as the AVX intrinsics supported in GCC; and to (2) Model features to expose functionality available in GPU accelerator units that are more conveniently and efficiently exposed using a block API. As of 1 April we are 7 years old. Because of all the jokes on that day, this post is a bit later. Let me take you through our journey how we grew up from a 1-person company to what we’re now. With pride I can say that (with ups and downs) StreamComputing (now rebranded to StreamHPC) has become a brand that equals to (extremely) fast software, HPC, GPUs and OpenCL. 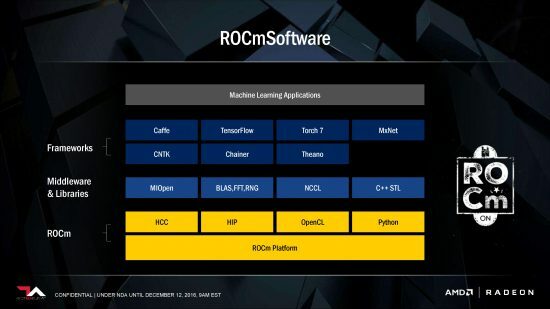 HPC GPU computing: OpenCL, CUDA, ROCm. Embedded GPU computing: OpenCL, CUDA, RenderScript, Metal. While you see OpenCL a lot, our expertise in vendor-specific CUDA (NVidia), ROCm (AMD), RenderScript (Google) and Metal (Apple) cannot be ignored. Hence the “Performance Engineers” and not “GPU consultants” or “OpenCL programmers”. Another change is that we have been going from fixing code afterwards to building software. This has been a slow process and had to do with the confidence in performance engineering as an expert profession instead of a trick. We’re seeing new companies coming into the market and providing GPU-computing next to their usual services. This is a sign of the market growing up. We’re confident in growing further in our market, as we have the expertise to design fast software while the newcomers have gained expertise to write code that runs on the GPU with only little speedup. There have been more times when we wanted to support the community more. The first try was OpenCL:PRO and did not live long, as it was actually unclear to us what “the community” wanted. Lack of convenience code, resulting in many, many wrappers and libraries that are incompatible. Lack of overview on what’s available. With OpenCL.org we aim to solve these problems together with the community. All is shared on Github and anybody can join to complete the information we’ve shared. While our homepage had around 40 pages on these subjects, it was only our personal view on the subjects or had outdated info. So we’re going to donate most of the OpenCL-related technical pages we’ve written over the years to the community. 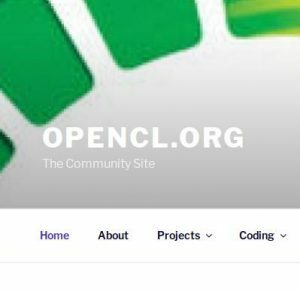 There is much more to share – watch our blog, the OpenCLorg twitter and newsletter! For who remembered: in 2010 the logo looked quite different. We still use the blocks in the background (like on our Twitter account), but since 2014 the colours and font are quite different. This change has been going along with the company growing up. The old logo is careful, while the new one is bold – now we’re more confident about our expertise and value. Over the past 3 years the new logo has stayed the same and has fully become our identity. It has been quite a journey! We could not have done it without all the customers we served over those 7 years. Getting from the technical advantages to the business advantages we have extensive experience. Several projects were introduced to us via the company’s GPU-pioneer. These collaborations were very successful and pleasant to do, due to the internal support within the company. This is a reason we would like to do more of these – this text is dedicated to the GPU-pioneers out there. Seeing the potential of GPUs is not easy, even when you’ve carefully read the 13 types of algorithms that OpenCL can speed up. So it’s even harder to convince your boss that GPUs are the way to go. What brings 2017 in technology? Gartner gives their vision with the start of each year to give insight in which technologies to invest in. 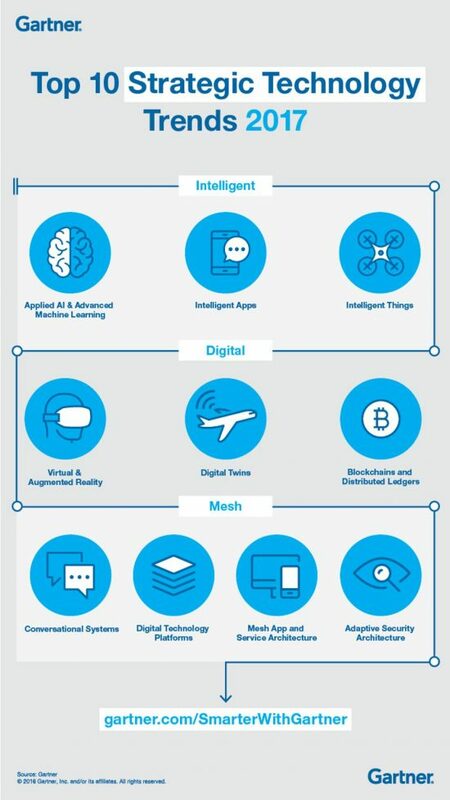 When looking through them, the most important enabling technologies are the GPU and Internet-of-Things (IoT) – see the image below. Whereas the last 4 are IoT based, the first 4 would not have been possible without GPUs. The middle two are more mature technologies, as they’re based on technology progress of many years – it happens to be that the GPU has played a big role to get here. And ofcourse not only GPUs and IoT are the reason these 10 are on this year’s list. When to use Artificial Intelligence and when to use Algorithms? The main strength of Artificial Intelligence is it’s easy to understand by anybody. This results in new applications in all industries at a rapid pace. Are there new possibilities generated or have the possibilities always been possible? The answer is both. In case of totally unknown input, AI is better capable of adapting. A clearly defined algorithm has much more unpredictable behavior in such cases. If the input is known well, the tables are turned. AI could give unpredictable results and with that introducing hard-to-solve bugs. Algorithms do exactly what it is designed for, also often at a much higher performance. AMD’s hardware was only used for less than half in case of scan operations in standard OpenCL 2.0. 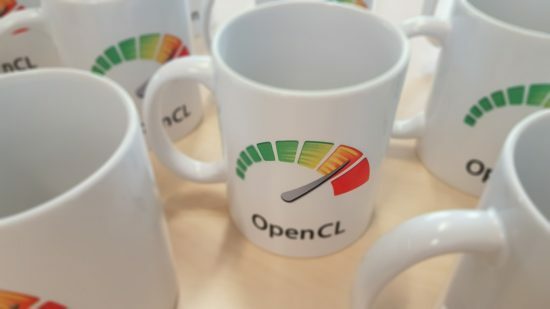 OpenCL 2.0 added several new built-in functions that operate on a work-group level. These include functions that work within sub-groups (also known as warps or wavefronts). The work-group functions perform basic parallel patterns for whole work-groups or sub-groups. The most important ones are reduce and scan operations. Those patterns have been used in many OpenCL software and can now be implemented in a more straightforward way. The promise to the developers was that the vendors now can provide better performance using none or very little local memory. However, the promised performance wasn’t there from the beginning. The first batch is in and you can win one from the second batch! We’re sending a mug to a random person who subscribes to out newsletter before the end of 17 April 2017 (Central European Time). Yes, that’s a Monday. We’ll pick two winners: one from academia and one from industry. If you select “other” as your background, then share which category you fall in the last field. Did you already subscribe and also want to win? I am not forgetting you – more details are in a newsletter next quarter. If you refer a colleague, a friend or even a stranger to subscribe, you can both win a mug. Just be sure he/she remembers to mention you to me when I ask. Before you ask: the maximum referral-length is 5 (so referral of referral of referral of referral, etc) plus the one who started it. UPDATE: If you win a mug and were not referred by somebody, you can pick a co-winner yourself. Joy should be shared. You can also use this link http://eepurl.com/bgmWaP. One of these moments when you find out that the company is not seen as I want it to be seen. Compared to generic software engineering companies, we have the advantage of creating software that is capable of processing more data. For years we have promoted this unique advantage, for which we use OpenCL, CUDA, HIP and several other languages. 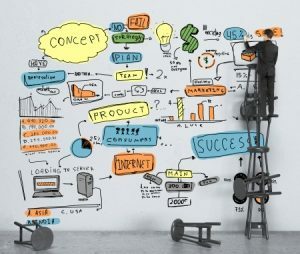 Always having full projects in mind, but unfortunately not clearly communicating this. During discussions with several existing and new customers, it became suddenly clear that we are seen as a company that fixes code, not one that builds the full code. It became most clear that when was suggested to let us collaborate with another party, where our role would be to make sure they would not make mistakes regarding performance and code-quality. Customer: You can work with a team we hired before. Us: We also do full projects. Should SPIRV be supported in CUDA? Would you like to run CUDA-kernels on the OpenCL framework? Or Python or Rust? SPIRV is the answer! Where source-to-source translations had several limitations, SPIRV 1.1 even supports higher level languages like C++. SPIRV is the strength of OpenCL and it will only get bigger. Currently Intel drivers best supports SPIRV, making it the first target for the new SPIRV-frontends. It is unknown which vendor will be next – probably one which (almost) has OpenCL 2.0 drivers already, such as AMD, ARM, Qualcomm or even NVidia. How interesting is SPIRV really? Should CUDA 9 support SPIRV? 2 people voted no, 29 people voted yes. So that’s a big yes for SPIRV-support on CUDA. And why not? Don’t we want to program in our own language and not be forced to use C or C++? SPIRV makes it possible to quickly add support in any language out there without official support of the vendor. Let wrappers handle the differences per vendor and let SPIRV be the shared language for GPU-kernels. Where do we need OpenCL or CUDA for, if the real work is defined by SPIRV? What do you think? Leave your comment below how you see the future of GPGPU with SPIRV in town. Is 2017 the year of SPIRV? And if you worked on a SPIRV-frontend, get in touch to continue your project on https://github.com/spirv. Yes, it’s empty right now, but you don’t know what’s hidden.